The Venezuelan Foreign Ministry said in a statement on Monday that the government would reconsider diplomatic ties with 13 EU members over the matter, accusing them of signing up on a “coup” plot by Washington to topple President Nicolas Maduro. The Venezuelan government “expresses its most energetic rejection of the decision adopted by some European governments, in which they officially submit to the US administration’s strategy to overthrow the legitimate government of President Nicolas Maduro,” the statement said. Caracas “will fully review bilateral relations with these governments from now, until there is a rectification that renounces support for the plans for a coup,” it added. Venezuela has been in political turmoil in the past couple of months, with the opposition blaming Maduro for an ailing economy, hyperinflation, power cuts, and shortages of basic items. Political crisis deepened in Venezuela on January 23, when Guaido proclaimed himself the “interim president” of the country. EU members Britain, Germany, France, and Spain earlier gave an eight-day ultimatum to Caracas to hold a new presidential election or see Europe recognize Guaido. Caracas rejected the ultimatum. 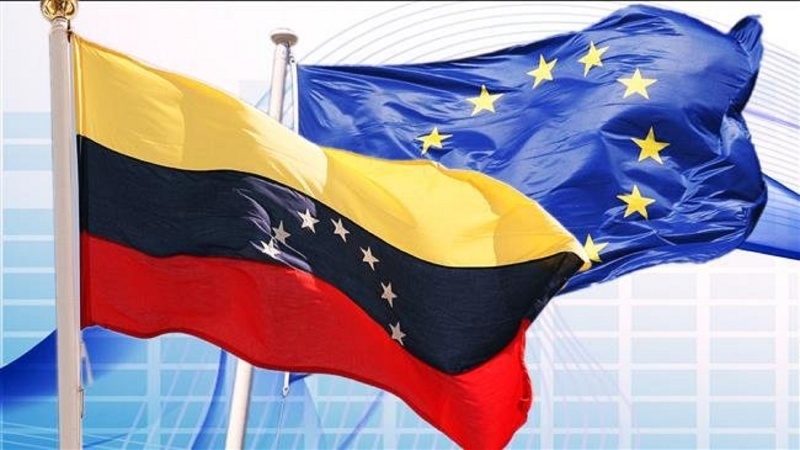 As that deadline passed on Monday, several EU member states, including Spain, France, the United Kingdom, Denmark, Sweden, and Austria, announced their recognition of Guaido as “acting president” of Venezuela. The US, along with a number of its Latin American allies, had already recognized Guaido as such. Russia, China, Turkey, and Iran, among other countries, have however supported the elected government of Maduro, warning against foreign meddling in Venezuela’s domestic affairs. Meanwhile, the Italian government reportedly blocked an EU statement on Monday that would have recognized Guaido as the leader of Venezuela. Rome blocked the EU statement meant to recognize Guaido as Venezuela’s interim leader if President Maduro fails to set up snap elections, according to a source in Italy’s anti-establishment Five-Star Movement. The source said Italy had earlier announced the veto at an informal meeting of EU foreign ministers in Romania on January 31. There has been internal discord within the EU over how to address Venezuela’s political crisis. Meanwhile, the EU is said to be considering the imposition of “further sanctions” on Venezuelan officials — but not on its oil sector.